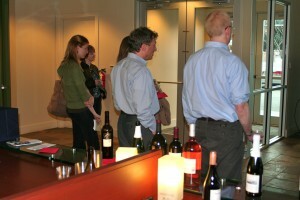 Last night we had our first Wine Wednesday event of 2011! 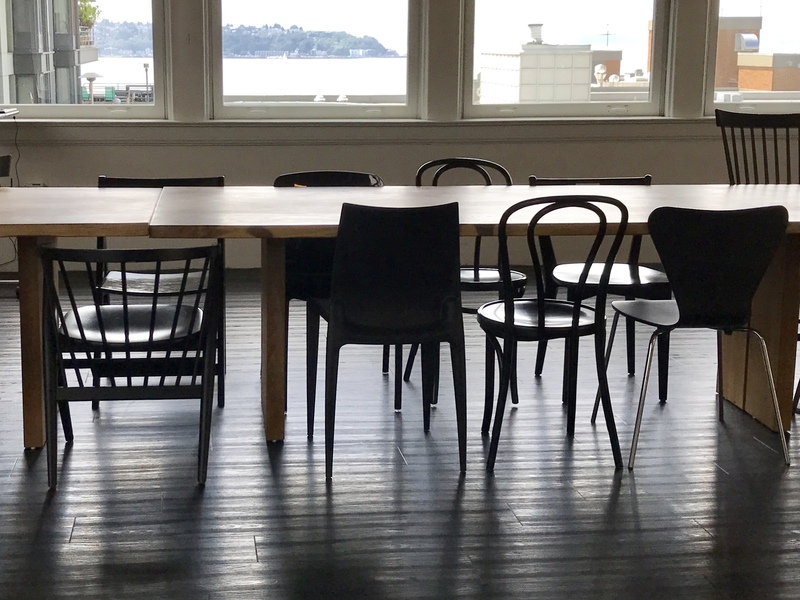 We added Wine Wednesdays to our thinkspace event schedule back in the fall, and after a hiatus due to the holidays and 1st of the year chaos- we’re back in action! So, what is Wine Wednesday? Essentially we have created a fun networking event that’s designed to showcase a thinkspace member, as well as a local winery. These events are open to our entire community! 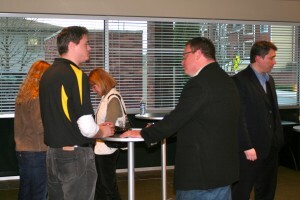 At Wine Wednesday you will find thinkspace members, Redmond Chamber of Commerce members, local entrepreneurs, tech geniuses, attorneys, real estate agents, people who are new to the area, you name it! This event is designed to introduce the featured businesses to the community, as well as provide a forum for networking and a reason to drink some fabulous vino! Meet our March featured organization and winery: Help Stop NF2 and Patterson Cellars. Harley Dufek, owner of Exclusive Home Reality and a beloved thinkspace member, started a nonprofit organization called Help Stop NF2 with his wife Rebecca Dufek in October of 2009. Rebecca was diagnosed with NF2 in 1999 after previously beating Hodgkin’s Lymphoma. NF2 stands for Neurofibromatosis Type II. NF2 is a brain tumor disorder that creates hearing and balance loss for its sufferers. 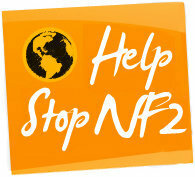 Help Stop NF2 was created to raise awareness, as well as funds for NF2 research. Rebecca is a walking inspiration for the NF2 community. In October of 2010, the organization traveled to Africa to climb Mt. Kilimanjaro. Help Stop NF2 created a film, which documents Rebecca and the group’s journey up the mountain. The film is titled Pole’ Pole’, which stands for “Slow” or “Slower” in Swahili, and is perfect description for the journey of climbing the mountain as well as suffering from NF2. The trailer to the documentary can be watched at this link: http://helpstopnf2.org/home-page/pole-pole-the-movie/. All of the production costs for the film have been donated 100%. Therefore, the awareness and donations created from the film will go entirely to NF2 research. If you’re interested in donating to Help Stop NF2, you can do so here. 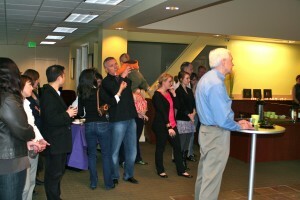 Patterson Cellars, which is a local winery located in Woodinville, WA attend our event last night! 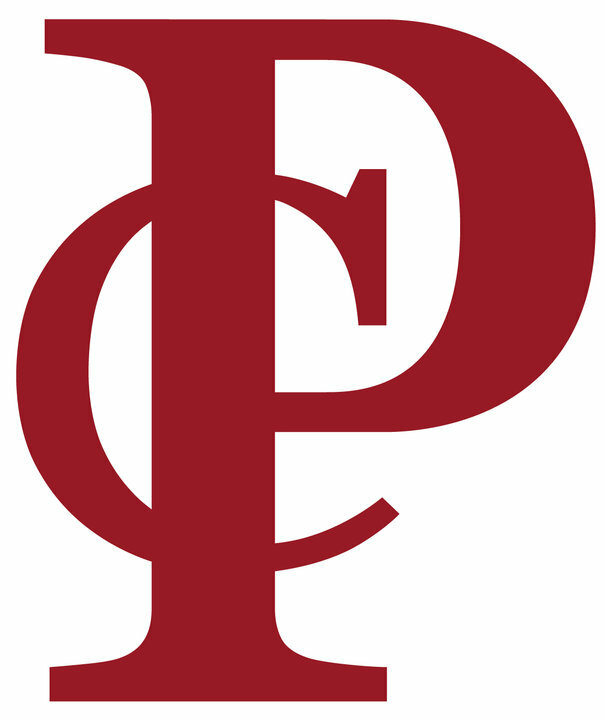 Patterson Cellars has two tasting rooms- one located at their winery in Woodinville, and another located in Seattle on Western Avenue right next to Pike Place Market. 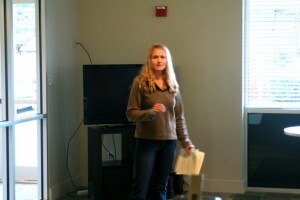 Last night we were lucky enough to have Stephanie from Patterson Cellars join us for the event. Stephanie is married to John Patterson who is the winemaker. We enjoyed learning more about the different wines that Patterson Cellars has to offer. My personal favorite was their 2008 Cabernet Sauvignon. If you’re in the mood for wine tasting I definitely recommend paying John and Stephanie a visit at either one of their tasting room locations! All in all, I was thrilled with the turnout at the event, and the amazing individuals who came out to meet one another. I am planning on scheduling the next Wine Wednesday for sometime in May. If you have a winery that you recommend please send their contact info my way! All of the upcoming thinkspace events are posted on our Facebook page, as well as our events page on our website! Awesome to be included in the photos. Great event last night! 4 Ways New Attorneys Can Save Money Should I Wait For The iPhone 5?